Was Batman a Yale Law grad as well as a world-renowned crime fighter? Perhaps. 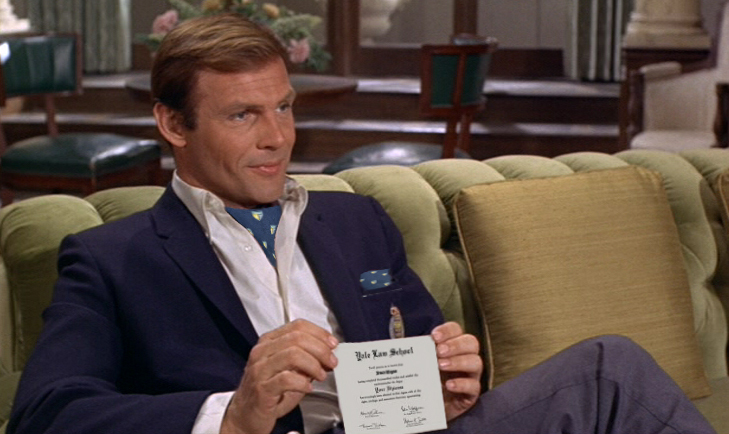 In 1974, the caped crusader was displaying a law diploma granted by “Yale University at Gotham,” according to the Yale Law Library Rare Books Blog. Once again, with a little intrepid research, we can find the answer. 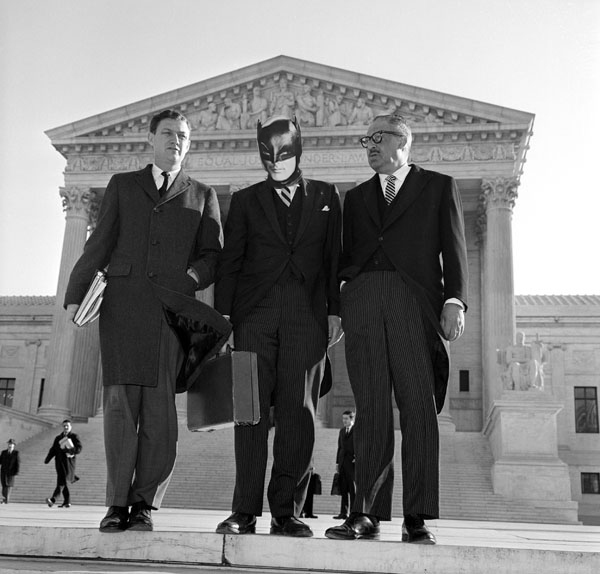 Clue #1: Here's Batman in 1966 outside the Supreme Court with Princeton lawyer John Doar and Justice Thurgood Marshall. Ivy Leaguers stick together, you know. 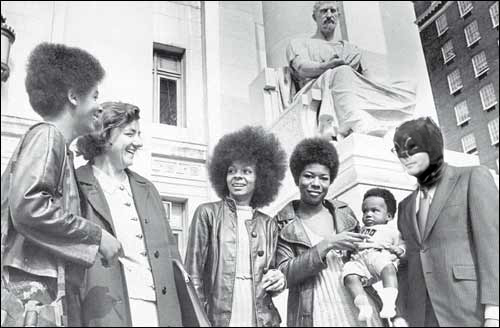 Clue #2: A few years later, we find Batman with Yale lawyer Catherine Roraback and members of the Bat Panther Party. Batman's a Yalie, eh? Holy Clarence Thomas!